"All authority in heaven and on earth has been given to me. Go therefore and make disciples of all nations, baptising them in the name of the Father and of the Son and of the Holy Spirit, teaching them to observe all that I have commanded you. And behold, I am with you always, to the end of the age." 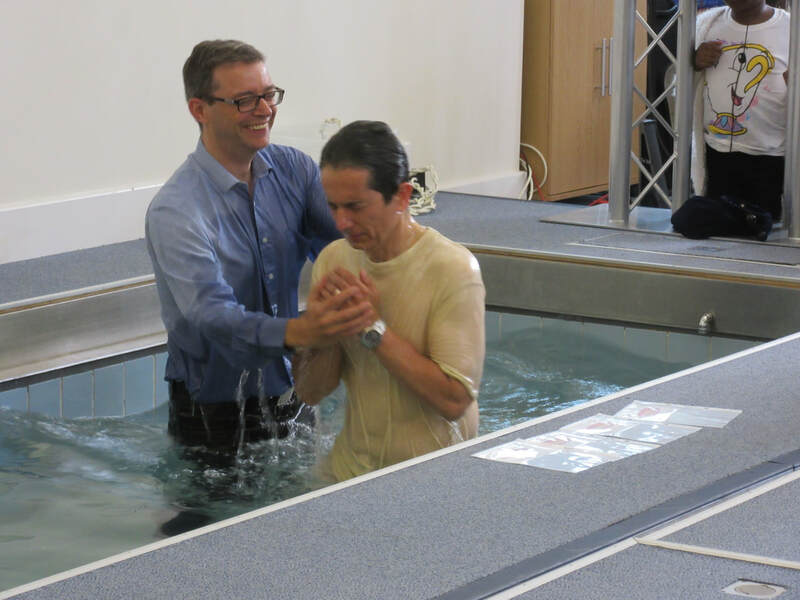 "Do you not know that all of us who have been baptised into Christ Jesus were baptised into his death? 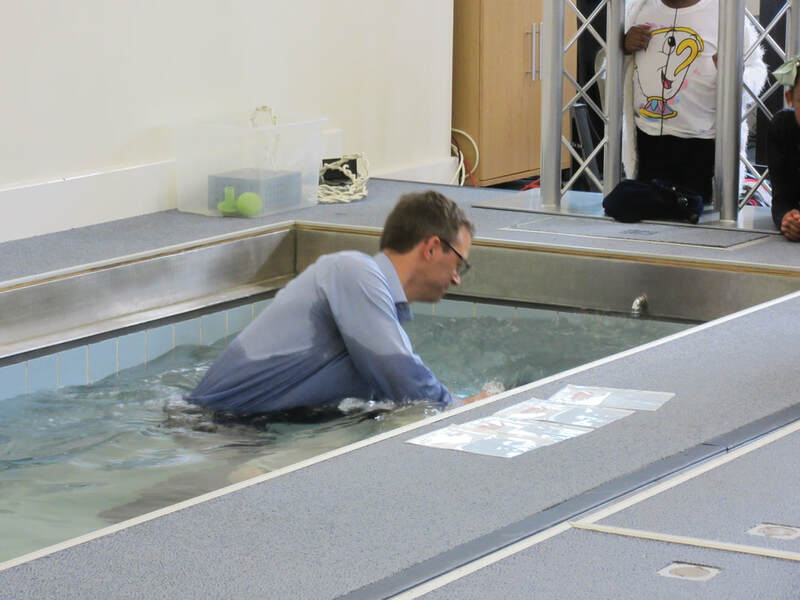 We were buried therefore with him by baptism into death, in order that, just as Christ was raised from the dead by the glory of the Father, we too might walk in newness of life." 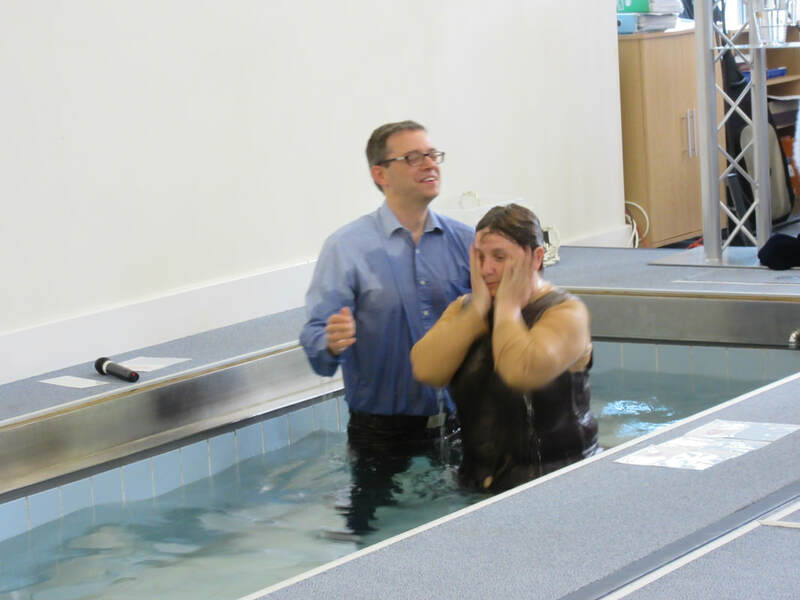 In the photos below you can see the message baptism pictures. The Christian shares in the death and resurrection of Jesus Christ. ​Second the person is immersed. It is a picture of death and burial. ​Third the person is raised up. It is a picture of rising from the dead. Jesus himself was baptised as an example for us to follow. 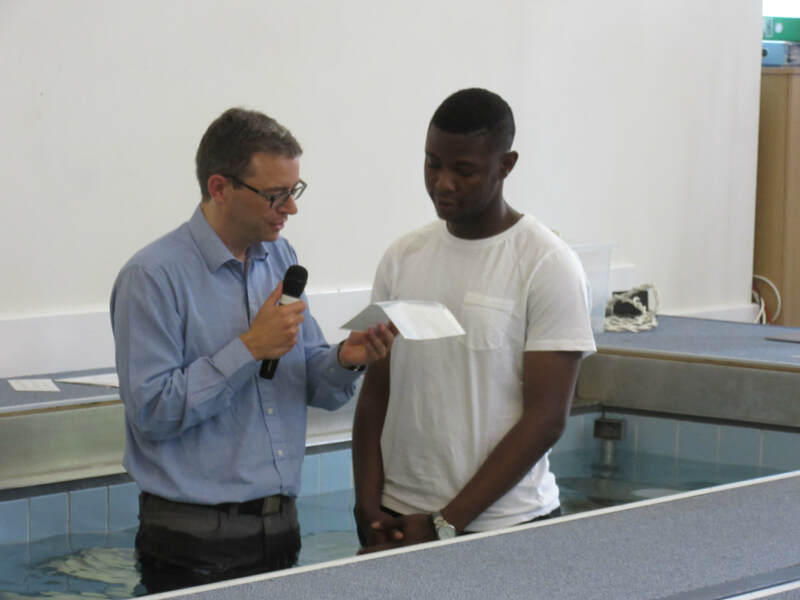 Jesus was not sprinkled with water as a baby, he was baptised in the river Jordan at the age of 30. 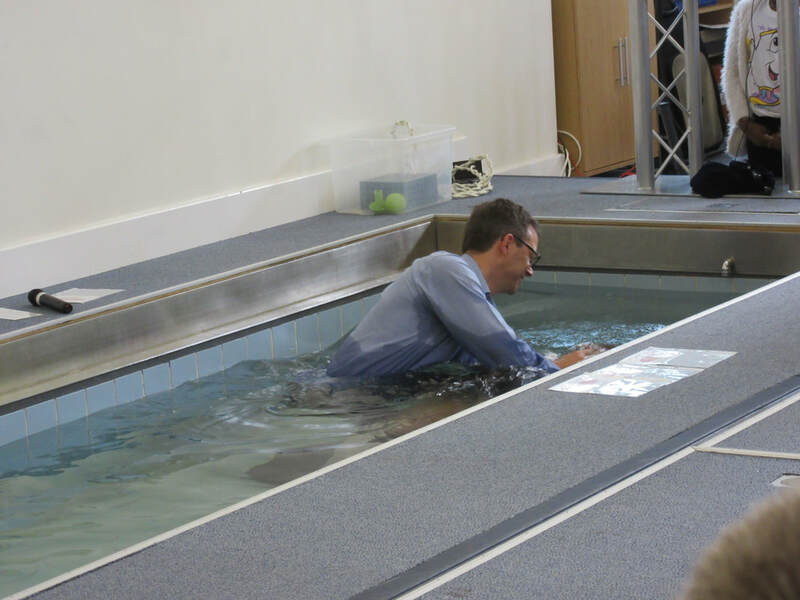 Baptism literally means to be dipped under the water, to be immersed. 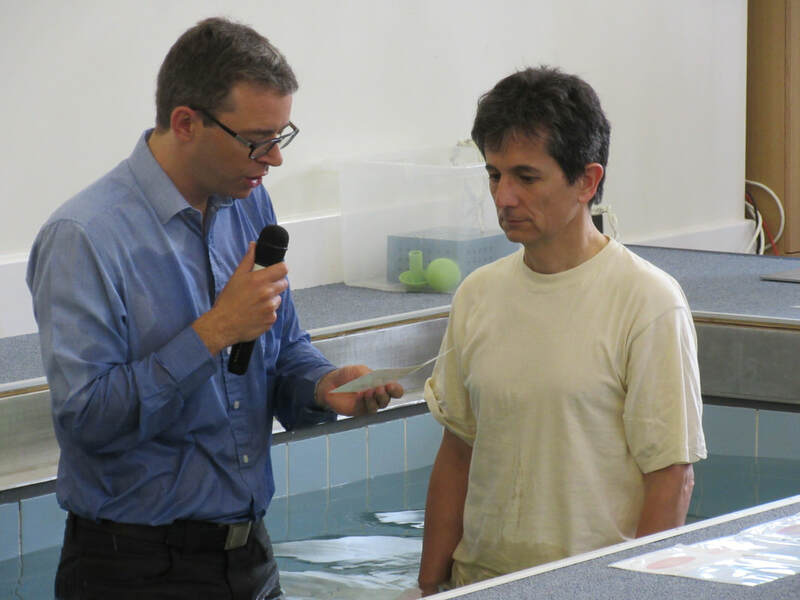 ​Everyone who believes that Jesus is the Christ should be baptised as an act of repentance. Repentance means admitting we have done wrong and a commitment to change and follow Jesus.